As we age, our faces will start to lose its youthful volume and fullness. Wrinkles and folds start to appear. If your face has been experiencing the unwanted effects of time and age, then a dermal filler like Vollure can help take years off of your face! Vollure is an injectable dermal filler composed of a smooth hyaluronic acid gel. Hyaluronic acid is a sugar molecule that naturally already exists in the human body. It is found within the cells of our muscles, skin, and tendons. Hyaluronic acid acts like a sponge- it loves to bind with water molecules, effectively “absorbing” water. Younger people have higher levels of hyaluronic acid in their bodies, which is what gives them a youthful, hydrated, and full look. With the aging process, levels of hyaluronic acid decrease, facial fat distribution changes, and bone structure changes. This causes the formation of wrinkles and hollowness in the face. Vollure is the perfect happy medium of durability and spreadability to treat practically anywhere on the face, allowing for natural expressions. Results can last up to 18 months. 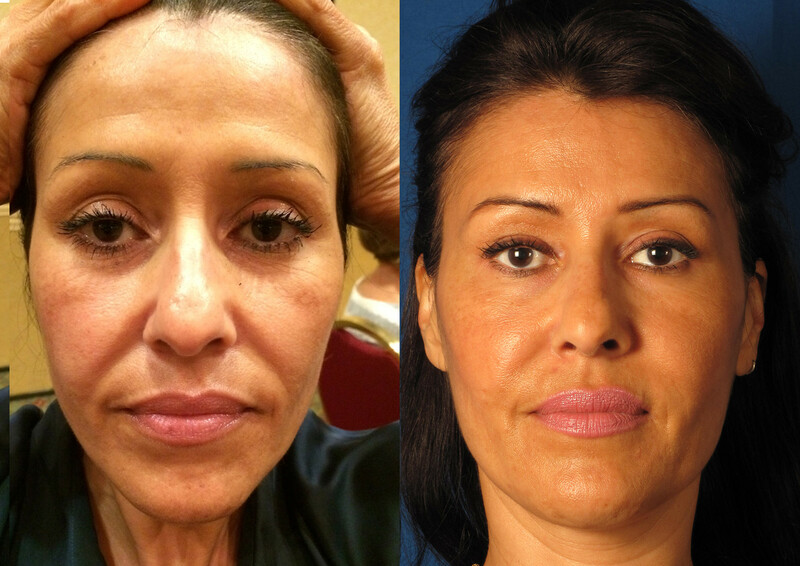 Some of the more common areas Vollure is used is in the smiles lines around the nose and the lips. How much does Vollure cost? Vollure is FDA-approved to lasts 1.5 years, but results will vary depending on the individual. Factors that influence how long it lasts include amount of filler used, lifestyle factors, and how fast the individual's body breaks it down. What shouldn't I do after Vollure injections? Avoid vigorous exercise or excessive heat to minimize bruising. How should I prepare for my Vollure treatment? Avoid taking aspirin, ibuprofen, or fish oil for 2 weeks prior to treatment. (Note: If your personal physician prescribed aspirin to you, do not stop aspirin without your physician's approval). Taking arnica orally for a week before and after your treatment can help minimize bruising.